They are centuries old and are one of the most important status symbols for men. It is quite easy to see why many men align themselves with certain watch brands as they reflect their own sense of style and taste. We can talk all day about the different premium watch brands out there. Also, we can argue whether it is better to buy new Tag Heuer’s or preowned Rolex watches, but first, we must come to grips with the watch itself and try to understand what makes it tick. When in the market for a premium watch, you must consider the movement, the driving force behind your Rolex, Breitling or Corum. Like many, you will be utterly astounded by the precision and craftsmanship behind the likes of IWC and Patek Philippe. When it comes to premium watch brands, you will discover a vast array of movements from which to choose. When it comes to luxury watches, this is by far the most popular movement. An automatic watch is a watch that is essentially powered by your movement. As long as you wear your luxury watch and move around, it will remain powered. Should you cease moving, say you fall into a coma, or worse, your luxury watch will stop in due time. 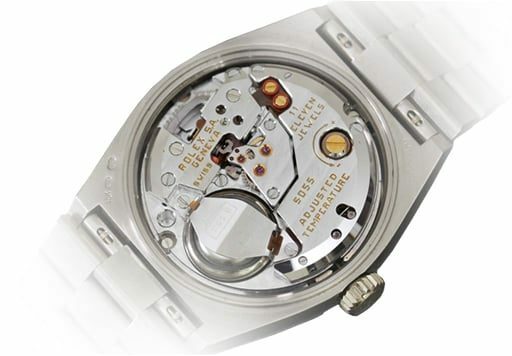 While quartz movement watches are widely popular, they are less common in luxury watches. Quartz movements are extremely accurate as well as reliable, but are also very inexpensive to produce. The latter is the main reason most luxury watch brands choose not to use quartz movements in their watches. This type of movement is saved for the cream-of-the-crop, the creme de la creme of luxury watches as it calls for the use of polished and drilled jewels. Typically, any watch that is considered a luxury watch will have in excess of 19 jewels with the mechanism. Watches with mechanical movements have been around for a very long time as this type of movement has been in use for hundreds of years. To power a mechanical watch you simply wind up the mechanism by turning the watch crown. Energy is released as the mainspring slowly unwinds. This type of movement requires no battery and can be highly intricate with stunning features. However, you still have to wind your watch ever morning. Chronograph movements are popular as in addition to breaking down time in hours, minutes and seconds, they also boast some rather cool features like moon phases and calendars. With such an extensive selection of luxury watches on the market, it is all too difficult to narrow them down and find one you like. After choosing which type of movement you desire, further narrow your focus by picking the style of watch you prefer. There are those who appreciate diving watches as nautical timepieces, while others like them simply because they look fantastic. Diving watches look great out of the water and function wonderfully in the great depths of the ocean. Regardless the reason you like diving watches, they are great buys. There are plenty of vintages watches on the market that will turn heads and garner the attention you so desire. This is one of the reasons vintage watches remain so popular today. Wish for a watch that is as sporty as it is stunning? Even if you don’t live an action-packed life circling the world for adventure, a sports watch will give the impression you lead an adrenaline-filled lifestyle. Luxury watches are not just ordinary wrist-wear. They are works of art, technological marvels, and treasures to behold. Luxury watches are costly, but you don’t have to be independently wealthy to own one. 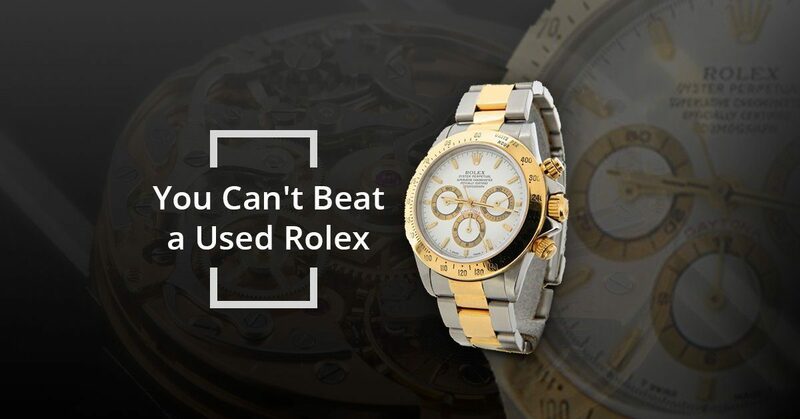 In fact, you can own used Rolex watches for a very good price and become part of an elite group of people who own a luxury watch.